Brent Beckwith has done it again! With hard work and dedication Brent will be holding the W.O.W or Walk On Water cancer ice fishing event again this year. This has been an ongoing event that Brent pours his hear and soul into and has been doing it for several years now. Having first-hand experience with how Cancer can affect someone’s life he has made it his personal mission to help those dealing with everything surrounding Cancer. This year is not exception and Brent is up to the task and will be running this great event again this year. Here is a bit more about it. Watch for future articles with more details about the event. Crystal Lake, IL – The Andrea Lynn Cancer Fund invites experienced and novice ice fishermen alike to enjoy a day of family-friendly ice Fishing on Bangs Lake in Wauconda during the Annual Walk on Water Ice Fishing Derby on Saturday, February 8, 2014, starting at 7:00 a.m. Registration now open online at www.andrealynn.org/ice. On-site registration and check-in will be held at Lindy’s Landing, 115 Park St., Wauconda. Prizes will be awarded for the largest Pike, Bass, Crappie, Bluegill and Walleye caught during the Walk on Water Ice Fishing Derby. Entrants must have valid Illinois fishing license and abide by all Illinois fishing regulations. 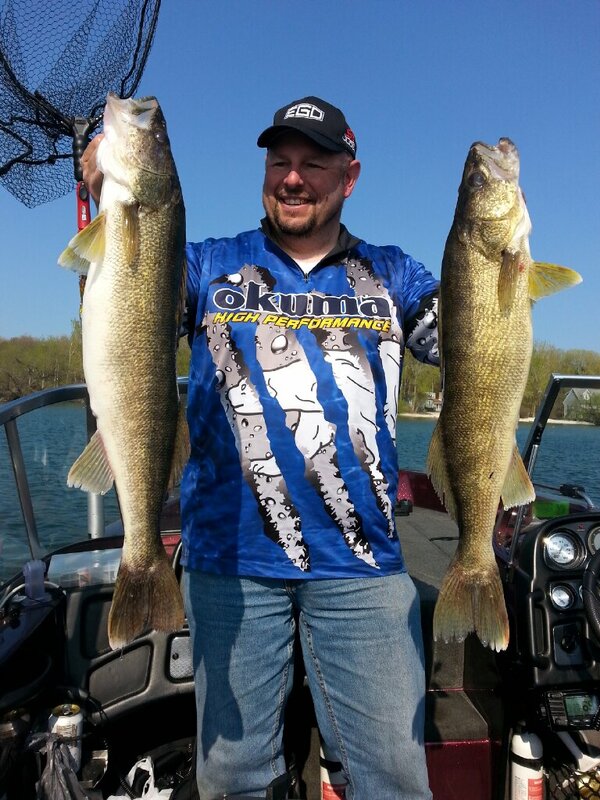 Wauconda Boat will have bait available for purchase at the registration area. 9:00 a.m. at Lindy’s Landing; adults must accompany children. All proceeds from this event will benefit the Andrea Lynn Cancer Fund. More than 1.5 million people in the United States are diagnosed with cancer each year. The Andrea Lynn Cancer Fund focuses on the family, providing for an array of needs and support to those suffering with the hardships of cancer. Following diagnosis and throughout the battle against cancer, there are many obstacles that are often unknown and unmentioned, including the stress of treatment, care, or losing a loved one’s income, that make dealing with cancer more difficult. The Andrea Lynn Cancer Fund strives to help with these burdens to get families back on track so they can spend more time focusing on their loved ones. The Andrea Lynn Cancer Fund was established in 2006 in the memory of Andrea Lynn Beckwith, who lost her battle with colon cancer in 1993. Her children, Brent and Shane Beckwith and Karie Nash, along with a close-knit group of family, friends and supporters, head up the board of directors for the charity. For more information about the organization, please visit the Andrea Lynn Cancer Fund website at www.andrealynn.org. President Brent Beckwith at (815) 459-6454 or email contact@andrealynn.org. Please Like and Share with others so that they can find out about this wonderful event!